School and University video, Camden, Matt getting attacked my a horse, Upsetting the Beliebers, New Piercing, Posey Pose, Shoes, Matching my Uke to my outfit, Running, Taxi thanks to Hailo, ESTEE LAUDER BRONZE GODDESS!!!!!! 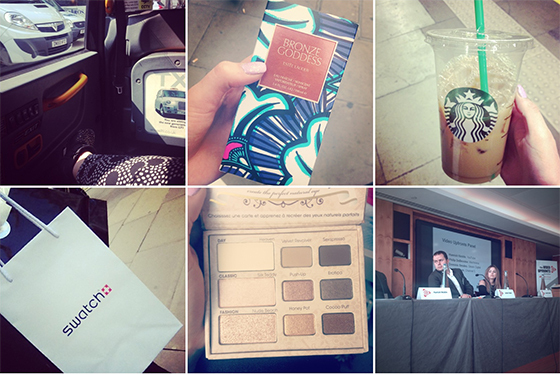 !, Starbz, New Watch, Too Faced Natural Eye Palette, Speaking on a Panel & Being Profesh. LOL at that witty tip jar! Cute blouse! Love the tip jar haha! I love how you're learning to play the ukulele! They always sound awesome when played. Estee Lauder Bronze Goddess! I need that!! Can you do a post on your piercing? Love these posts :) Also that Justin Bieber tip jar is kinda epic, ha! Aah I wanna see the watch! Nice post, it's cool to see all the images up together like this. I am such a fan of everything you post! 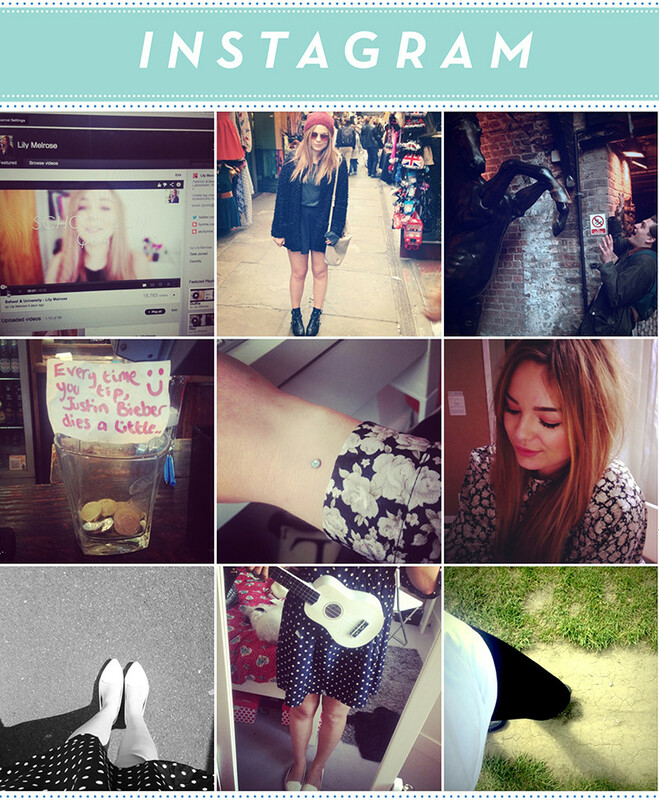 Your instagram is one of my favorites when I am browsing through my home page. Loving the eye palette. I am currently looking for a new one and might give it a try. you are looking very nice and pretty too. Pretty good post. I just stumbled upon your blog and wanted to say that I have really enjoyed reading your blog posts. Great site, keep it up! You are really too cute.